Enjoy this upgraded, spacious 1,460 square foot 3 bedroom 2 bathroom apartment home. This is equipped with a walk out patio, a gorgeous kitchen with espresso cabinetry, and an attached garage at your convenience! 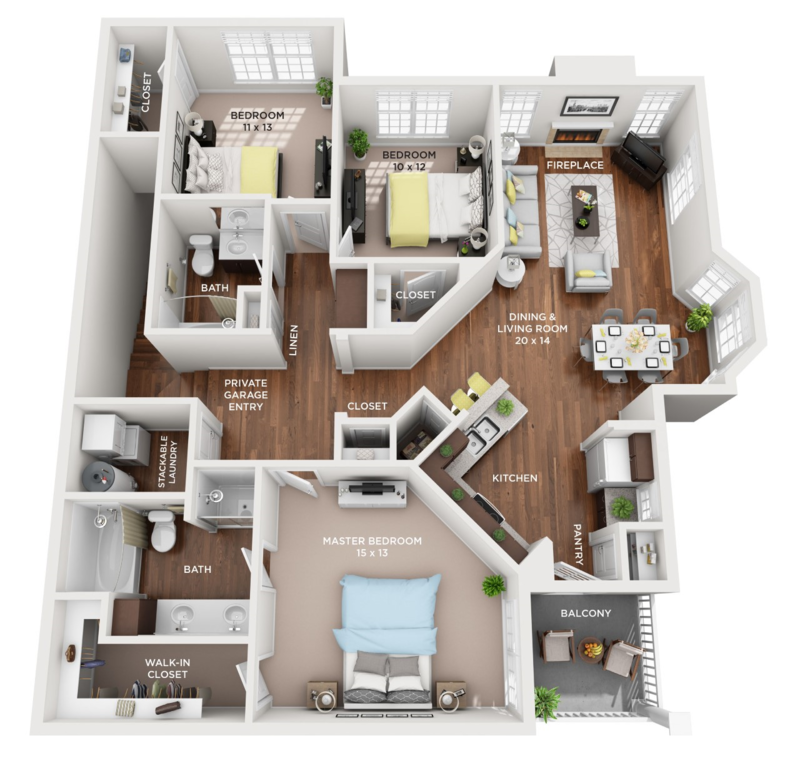 Call today to find out how to make this gorgeous apartment your home for a mid-May move in!